Typhoon Haiyan – Thank you for your support! As you may know, during November Toluna ran a fundraiser, offering our members around the world the chance to donate their points, and help make a donation to the Philippine Red Cross to aid in Typhoon Haiyan relief efforts. We wish to thank everyone who participated, for their kindness and generosity, and are happy to report that our members donated over 4.7 million points (approximately €1,169.07) globally to this fundraiser. In addition to our member’s donations, Toluna has decided to double this amount, making our total donation €12,338.15. These funds will be transferred to the Philippine Red Cross, to help those in need during this time of recovery and rebuilding. Once again, thank you to everyone who donated their hard-earned points to this fundraiser. 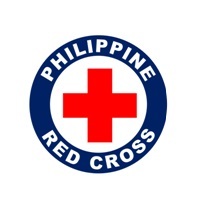 To learn more about how the Philippine Red Cross is helping victims of Typhoon Haiyan, or to make an additional donation, please visit their website. From all of us at Toluna, we wish you and family a safe and happy holiday season.